Throughout the month, enjoy a Parma & Pot special with a little bit of heart. 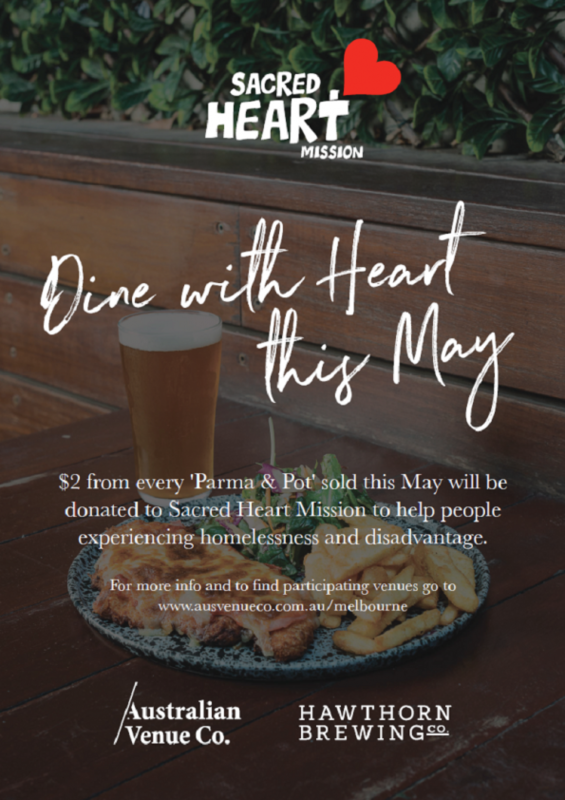 $2 from every Parma & Pot combo sold will be donated to the Dine with Heart Campaign, an initiative supporting Sacred Heart Mission’s Dining Hall. Every $4 raised provides a nutritious meal for someone in need.